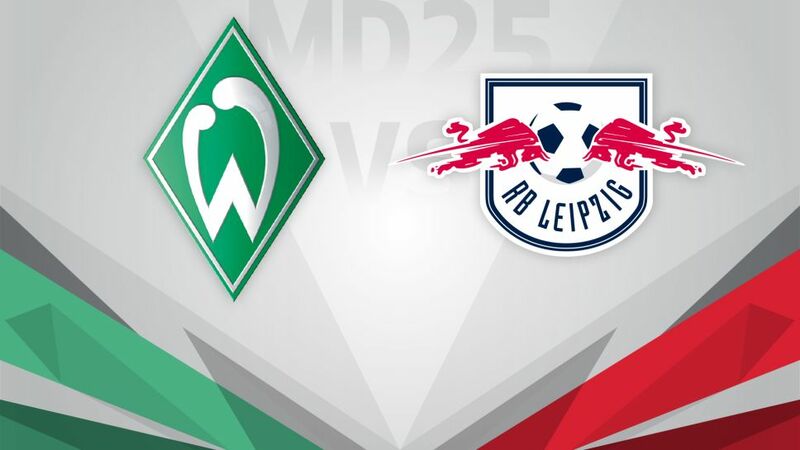 SV Werder Bremen have been one of the best-performing teams in the Bundesliga of late but that form will be put to the test by the visit of second placed RB Leipzig on Saturday (kick-off 15:30CET/14:30GMT). Werder’s run of three consecutive wins came to an end on Matchday 24 but Claudio Pizarro’s late goal in the 1-1 draw at Bayer Leverkusen kept their unbeaten run going. However a better goal difference is still the only thing keeping them above Hamburg, who are in the relegation play-off place, so a fifth home win of the season would be most welcome. Naby Keita got a brace in Leipzig’s home win over Werder in October but he is suspended for the return match and probably would not have featured anyway after collapsing in the 1-0 loss to Wolfsburg last weekend. The visitors’ pursuit of leaders Bayern has been hindered by three defeats in their past six matches – one more than they suffered in their first 18 league games. Ralph Hasenhüttl’s men have won on both their trips north so far this season though – beating Hamburg and Wolfsburg away from home without conceding a goal.